The romance of Taliesin West comes to life during this special evening tour, an excellent date night activity. 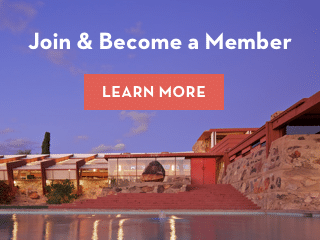 Taliesin West’s fire-breathing dragon makes a guest appearance while Wright’s desert masterpiece glows warmly like a jewel under Arizona’s starry skies. This tour is not intended for children under the age of 13. Reservations are required. Tours leave at 5:30, 6, and 6:15 p.m.